A personal loan from Lanier FCU can help with your loan needs, whatever they may be. You can use a personal loan to consolidate debt, finance a vacation or cover holiday expenses. These loans can also help you pay for medical emergencies and other unexpected events. Personal loans from Lanier FCU comes with low interest rates, fast processing and convenient repayment terms, as well as efficient, personalized service. With a Lanier FCU share secured loan, your deposit in a Lanier FCU share savings account or savings certificate serves as collateral to secure your loan. Share secured loans carry our most attractive interest rates, and you'll even continue to earn dividends on your savings! Call or come in and pay with your VISA Debit or Credit Card, or MasterCard with another Financial Institution! A 5% Processing Fee does apply. Shopping for a new or used car, truck or motorcycle? 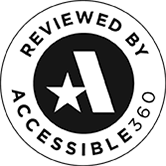 You're in the right place because we strive to match or BEAT dealership financing rates! You've already got plenty to think about: Makes, models, optional equipment, colors and so on. When it comes to financing, make it easy on yourself with an auto loan from LFCU. We have loans available for new or used cars, and trucks. Our loans feature competitive interest rates and the kind of efficient, personalized service that only your credit union can provide. This program is designed for individuals making their first vehicle purchase. Buying a vehicle is a major commitment! Let our personal service be there to help walk you through every step of the process. This program is designed for individuals with past credit issues. We understand that unexpected things can happen and cause a financial strain. We also believe that you deserve a "second chance". 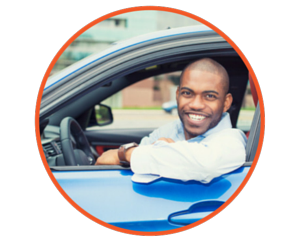 This loan program can help you rebuild your credit and obtain an affordable, reliable auto. Did you know that your auto insurance may not cover everything that you expect it to? In the event that your vehicle is deemed a total loss due to an accident or theft, your auto insurance policy will typically only cover the actual cash value (ACV) or market value (AMV) of your vehicle, less your deductible. This settlement could be significantly less than the amount you owe to your lender or leasing company due to depreciation and current market conditions. The final result is a financial GAP where you must make up the difference, which could mean thousands of dollars out of your pocket. Lanier Federal Credit Union’s Guaranteed Auto Protection Plus (GAP) is a loan/lease deficiency waiver that is not offered as insurance coverage. Guaranteed Auto Protection Plus Protects individuals who finance a new or used vehicle from the financial GAP. The purchase of GAP is voluntary and cannot be required as a condition of credit approval. GAP covers the difference between the actual cash value of your vehicle and the loan/lease balance, less delinquent payments, late charges, refundable service warranty contracts and other insurance-related charges. Guaranteed Auto Protection Plus will even cover your auto insurance deductible of $500 or $1,000. 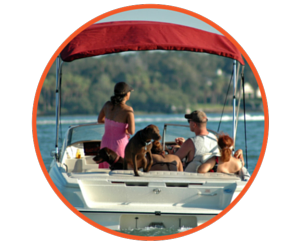 Ready to add to your leisure-time fun with a boat or Jet Ski? Let LFCU help you finance those dreams. We offer loans on new and used watercrafts. All our loans come with competitive interest rates and efficient, personalized service. When it's time to stop dreaming and make some waves, come to LFCU! *Note: Refer to our loan rates for available term lengths. Ready to add some excitement to your life with an ATV? Or maybe you want to explore the world with your family? 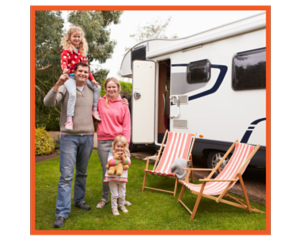 We offer loans on new and used campers and ATVs. All of our loans come with competitive interest rates and efficient, personalized service. When it's time to stop dreaming and tear up the highway or get a little muddy, you know who to call! And why stop there? We have loans for tractors, lawn mowers and even computers too. So if it's time to upgrade your farming equipment, or maybe you want to start a landscaping business, we have you covered. A new computer for your home, business, or school work would be nice as well. Whatever it may be, our loan officers will match competitor's loan rates and take care of you! LFCU wants all of our members to know that we care about you and your lives! So don't hesitate to call or come in and ask about a loan option you do not see listed on our website. Maximum vehicle age of 10 years. Maximum mileage of 150,000 miles. Minimum down payment of 20%. ¹LFCU credit approval required. Other Stipulations may apply. Whether you're buying a home, land or refinancing your existing one, Lanier Federal Credit Union is here to save you money! Our superior lending rates & terms make us the Credit Union to do business with! Our real estate loans offer competitive rates and the high-quality service you've come to expect from LFCU. Please contact us for more information on mortgage loans or apply online. Are you looking to purchase your first home? If so, congratulations-- this is quite an exciting achievment! However, we know this process can be overwhelming with all of the financing options and questions you may have. Fortunately, Lanier Federal Credit Union has teamed up with Credit Union Financial Services (CUFS) to offer our members a variety of first mortgage products. 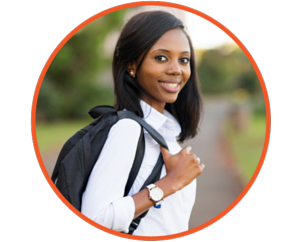 The Smart Option Student Loan® by Sallie Mae® is an ideal solution to finance the cost of your education expenses while attending degree-granting institutions. Now you can pay for college the smart way with three great repayment options at the most competitive interest rates! This loan is an ideal solution to help you pay for college expenses not covered by scholarships and federal loans. At Lanier Federal Credit Union, we are always striving to find new innovative solutions for our members. Now, we are offering a brand new service to help you locate your next vehicle, AND have it delivered to you too! CU CarFinders has partnered with Credit Unions in Atlanta for 25 years. Large and small CU CarFinders is dedicated to helping Credit Unions and their members navigate the stressful process of car buying. Between acquiring suitable financing, finding the right vehicle, and making sure you don’t spend more than you need to, buying a car can be overwhelming. CU CarFinders is here to help! They work inside the building with your Loan Representative to ensure you get a great car for the right price. CU CarFinder specialists have over 1,500 vehicles available today but we can find any particular make or model you are looking for through a customized search. Once we find your vehicle, delivery is a simple and easy process. We deliver to all Credit Union branch locations or come into our office and pick up your car! We bring the Credit Union level of care and community to the car business by keeping member service our number one priority. Check our inventory and see the CU CarFinder difference! Carvana's goal is to revolutionize the car buying industry and make the process of buying a car as easy, stress free, and transparent as possible. CARVANA is now offering LFCU members a better car buying experience without the struggle of dealing with a dealership or middle man. With 100% of their stock being Carvana Certified, you can create a digital garage and have peace of mind knowing that you will be happy with the purchase. Get started finding the car of your dreams!